Weitz & Luxenberg has filed a class action complaint in the U.S. federal district court for the District of New Jersey challenging massive price hikes in the price of insulin on behalf of a proposed class of insulin consumers. Insulin is a hormone produced naturally in a healthy pancreas. It helps move sugar (glucose) from the bloodstream to other parts of the body where it is used or stored. Diabetes is a condition that changes the way your body makes or uses insulin and can lead to life-threatening conditions, including blindness, heart attack, or stroke. People who have type 1 diabetes must take insulin every day, and some people with type 2 diabetes also need insulin shots. While U.S. diabetes patients are allowed to import animal insulin for personal use, insulin therapy drugs sold in America are manufactured in laboratories. Eli Lilly and Company, Sanofi, and Novo Nordisk are the three largest manufacturers of insulin therapy drugs in the U.S. In recent years, the price of insulin in the U.S. has skyrocketed, with annual per-patient spending going from $231 to $736 in just 11 years. 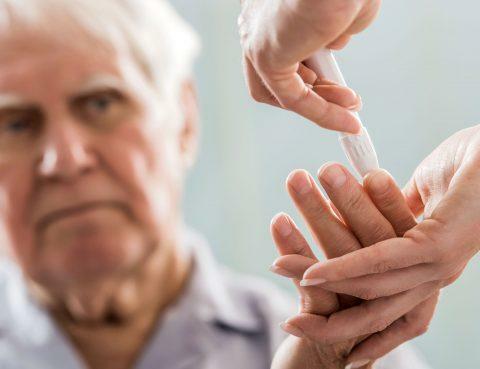 The expense has led some patients to ignore their dosing instructions and dangerously try to stretch their insulin supply to save money — a practice that can lead to serious, even life-threatening, health consequences. Weitz & Luxenberg encourages people seriously affected by the rising price of insulin to contact the firm. If you paid for insulin out of pocket any time in the last three years, call us. Weitz & Luxenberg can help you determine if you have a case. How Much Have Insulin Prices Risen? Research published in the Journal of the American Medical Association (JAMA) in 2016 found the price per milliliter of insulin rose 197% from 2002 to 2013. Oftentimes, prices for insulin manufactured by competing companies rose in lockstep. New Jersey-based market research firm SSR Health discovered that prices of two insulin drugs — Lantus and Levemir — mirrored each other’s price hikes 12 times between 2008 and 2014. “The two companies took price increases within days of one another, and the price increases were similar — even identical — to the percentage point,” Richard Evans, SSR Health’s founder and general manager told CBS News in February 2017. At least two members of Congress have called for a closer look at this lockstep pattern of insulin price increases. “We are concerned that the potential coordination by these drug makers may not simply be a case of ‘shadow pricing,’ but may indicate possible collusion, and we believe this egregious behavior warrants a thorough investigation,” Sen. Bernie Sanders of Vermont and U.S. Rep. Elijah Cummings of Maryland wrote in a letter to the U.S. Department of Justice and Federal Trade Commission seeking insulin-price investigations from both agencies in November 2016. Sen. Sanders is ranking member of the Senate’s Subcommittee on Primary Health and Retirement Security and Rep. Cummings is the House Committee on Oversight and Government Reform’s ranking member. “Not only have these pharmaceutical companies raised insulin prices significantly — sometimes by double digits overnight — in many instances the prices have apparently increased in tandem,” the two members of Congress wrote in their letter. Dr. Irl Hirsch has presented examinations of rising insulin prices to ADA sessions in which he said rising insulin prices have cost some patients as much as $6,000 a year, even if they had insurance. 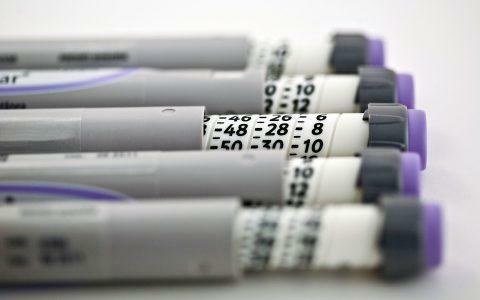 The ADA has warned of a “life-threatening” practice of patients rationing insulin to save money. The Association’s Board of Directors issued a resolution in November 2016 calling on all parties in the insulin supply chain — including manufacturers, insurers, and pharmacies — to “substantially increase” pricing transparency and to guarantee affordable access to insulin to patients dependent upon it. Weitz & Luxenberg has litigated complicated medical-related cases since 1986, and our Defective Drugs and Devices Unit has a track record of pursuing justice for clients harmed by SGLT2 inhibitors, another diabetes drug. The cost increases for diabetics who rely upon insulin can be devastating when the diabetic is forced to pay out of pocket for an increasingly expensive medical necessity. If you have purchased insulin within the last three years, Weitz & Luxenberg would like to hear from you. We will help you determine if you can seek compensation. Call Weitz & Luxenberg at (888) 618-5996 right now or fill out our convenient contact form on this page and we will be in touch with you shortly. To speak to an attorney today about your legal needs, please call us at (888) 618-5996.